The clock chiming midnight, the pop of bubbly and the frantic scribbling of new year’s resolutions – it all seems so long ago. But come 5th February, we’ll be getting into the spirit again to celebrate Chinese New Year. Our Native cities – London, Manchester and Glasgow – all mark the occasion in their own way. So, wherever you’re staying, here’s how to enjoy the start of the Year of the Pig with the best Chinese New Year events. Celebrate in London on 10th February. As with most celebrations, London goes big when it comes to CNY. In fact, the party in London is supposed to be the biggest outside Asia! Head straight to Chinatown (nestled between Leicester Square and Shaftesbury Avenue in the West End) and join the hundreds of thousands of people enjoying the incredible parade, free stage performances and traditional Chinese food in the myriad of restaurants to choose from. Tip: If dim sum’s your thing, join the epic (but fast moving) queues outside your restaurant of choice and aim for an early lunch. The best dim sum is served early and when it’s gone, it’s gone! Celebrate in Manchester from 7th to 10th February. 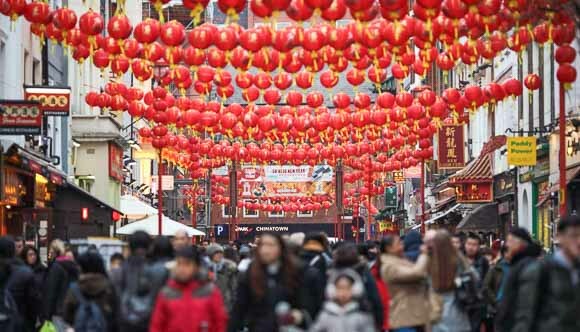 Manchester’s very own Chinatown is in the heart of the city, with Faulkner Street at the centre of the action, just behind the Town Hall. There are dozens of brilliant events planned, all ending in the crowning glory of the legendary Dragon Parade. 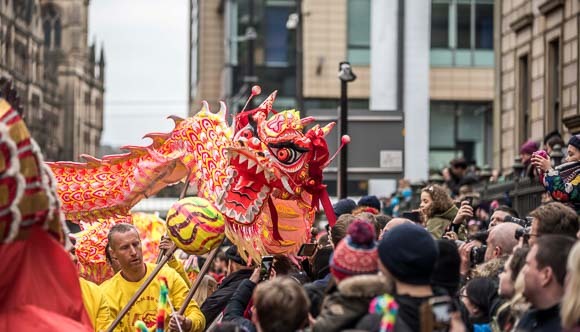 There’ll be a giant golden dragon in Exchange Square to preside over the celebration, as well as calligraphy, Tai Chi and artsy fun at the Centre for Chinese Contemporary Art. 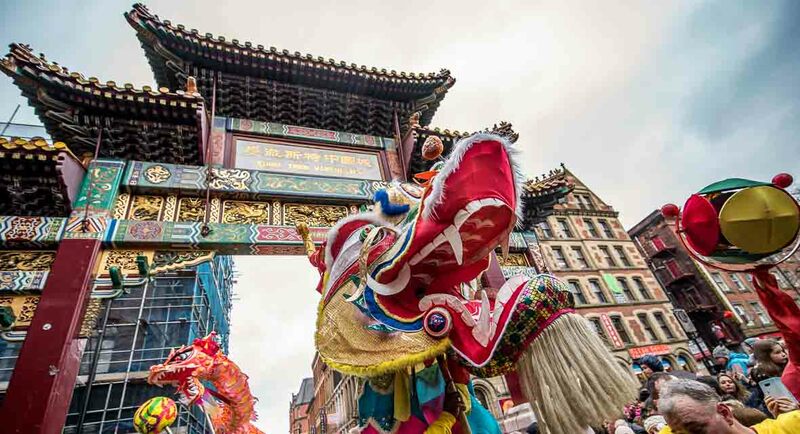 Tip: Check the Visit Manchester website for all the listings, and make sure you visit the street food market at St Ann’s Square for a huge range of Chinese treats. Celebrate in Glasgow from 2nd to 17th February. Chinese New Year in Glasgow is celebrated in the city’s many fantastic museums. This year you’ll find a fun filled, family friendly celebration of the Year of the Pig at Kelvin Hall and crafts and horoscopes at St Mungo Museum of Religious Life and Art, as well as decorations and activities on Main Street. 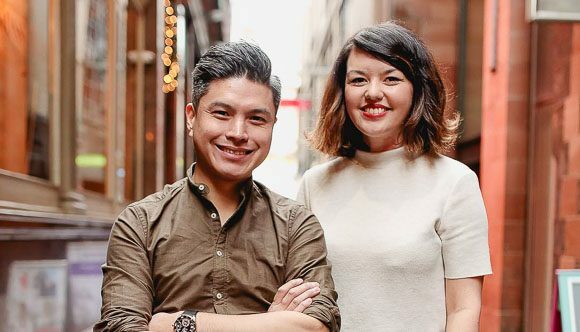 Tip: One for the foodies – chefs Jimmy Lee (Lychee Oriental) and Julie Lin (Julie’s Kopitiam) will be hosting a four-course Chinese feast at SWG3 on 7th February 2019. Book at Eventbrite.com. Now that you know where to find the fun, start practising your xin nian kuai le (happy new year in Mandarin) or san nin faai lok (in Cantonese). Cheers!